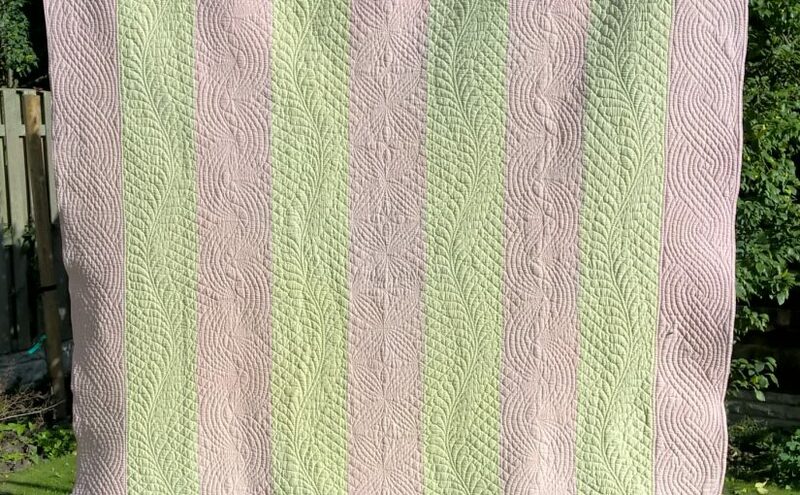 This pink and cream strippy quilt was made in Northumberland in about 1930. 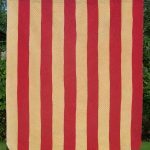 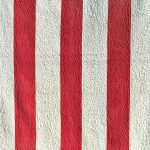 It is made from nine wide strips of fabric, alternating between pink and cream cotton sateen. 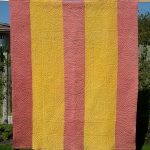 The reverse is a plain primrose yellow. 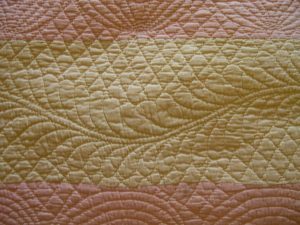 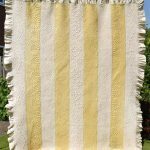 The quilting designs follow the strips, and include a broad cable, running feather, double hammocks with a basic twist between them and linked circles with a simple flower centre. 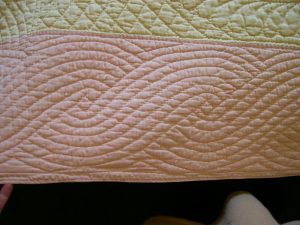 Notice that unusually, the top and bottom also carry the broad cable going across the strips, although there is no attempt to make the design turn the corner. 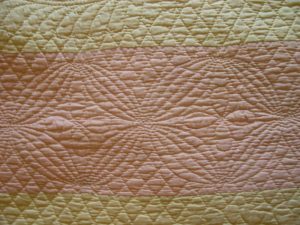 The stitching is even but a little coarser in size than most of the wholecloth quilts, reflecting the often utilitarian function of these quick and easy strippy designs. 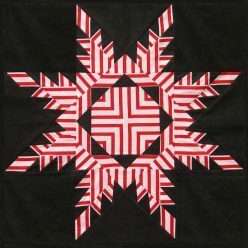 The wadding is cotton, and the butted edge is finished with a line of machine stitching. 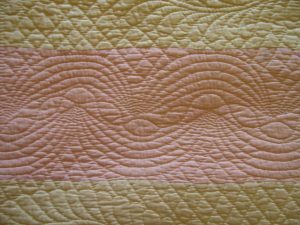 Click on the links to see how the quilting design reveals it’s origins.